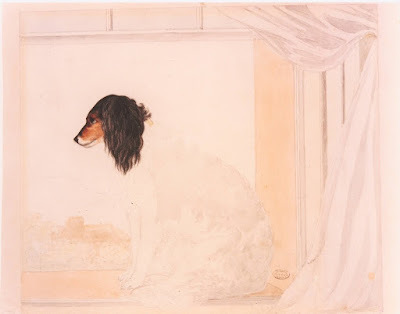 the Brontë Sisters: Anne Bronte made 2 unfinished drawings of her pet spaniel Flossy. 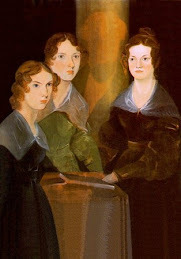 This is a blog about the Bronte Sisters, Charlotte, Emily and Anne. And their father Patrick, their mother Maria and their brother Branwell. About their pets, their friends, the parsonage (their house), Haworth the town in which they lived, the moors they loved so much, the Victorian era in which they lived. I've dreamt in my life dreams that have stayed with me ever after, and changed my ideas: they've gone through and through me, like wine through water, and altered the color of my mind. Anne Bronte made 2 unfinished drawings of her pet spaniel Flossy. 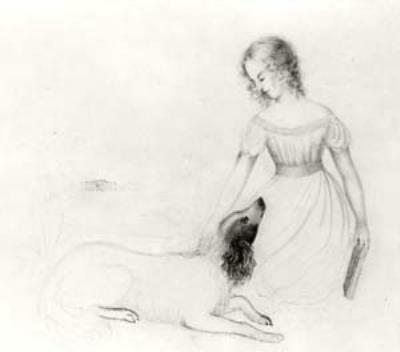 On #NationalPetDay Anne Bronte made 2 unfinished drawings of her pet spaniel Flossy, gifted to her by her charges the Robinson girls. But there's also this sketch - it could be a Robinson girl with Flossy, but I think it's a self portrait of Anne and her beloved pet! Presently the door opened, and in came a superannuated mastiff, followed by an old gentleman very like Miss Bronte, who shook hands with us, and then went to call his daughter. 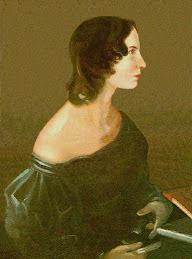 A long interval, during which we coaxed the old dog, and looked at a picture of Miss Bronte, by Richmond, the solitary ornament of the room, looking strangely out of place on the bare walls, and at the books on the little shelves, most of them evidently the gift of the authors since Miss Bronte's celebrity. Presently she came in, and welcomed us very kindly, and took me upstairs to take off my bonnet, and herself brought me water and towels. The uncarpeted stone stairs and floors, the old drawers propped on wood, were all scrupulously clean and neat. 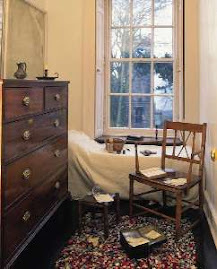 When we went into the parlour again, we began talking very comfortably, when the door opened and Mr. Bronte looked in; seeing his daughter there, I suppose he thought it was all right, and he retreated to his study on the opposite side of the passage; presently emerging again to bring W---- a country newspaper. This was his last appearance till we went. Miss Bronte spoke with the greatest warmth of Miss Martineau, and of the good she had gained from her. Well! we talked about various things; the character of the people, - about her solitude, etc., till she left the room to help about dinner, I suppose, for she did not return for an age. The old dog had vanished; a fat curly-haired dog honoured us with his company for some time, but finally manifested a wish to get out, so we were left alone. 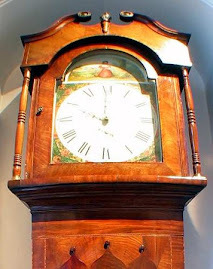 At last she returned, followed by the maid and dinner, which made us all more comfortable; and we had some very pleasant conversation, in the midst of which time passed quicker than we supposed, for at last W---- found that it was half-past three, and we had fourteen or fifteen miles before us. So we hurried off, having obtained from her a promise to pay us a visit in the spring... ------------------- "She cannot see well, and does little beside knitting. The way she weakened her eyesight was this: When she was sixteen or seventeen, she wanted much to draw; and she copied nimini-pimini copper-plate engravings out of annuals, ('stippling,' don't the artists call it?) every little point put in, till at the end of six months she had produced an exquisitely faithful copy of the engraving. She wanted to learn to express her ideas by drawing. After she had tried to draw stories, and not succeeded, she took the better mode of writing; but in so small a hand, that it is almost impossible to decipher what she wrote at this time. As I -- Undying Life -- have power in Thee! Hugh Brunty was born 1755 and died circa 1808. He married Eleanor McClory, known as Alice in 1776. Thomas Branwell (born 1746 died 5th April 1808) was married in 1768 to Anne Carne (baptised 27th April 1744 and died 19th December 1809). 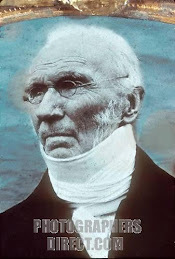 Father was Patrick Bronte, the eldest of 10 children born to Hugh Brunty and Eleanor (Alice) McClory. He was born 17th March 1777 and died on 7th June 1861. Mother was Maria Branwell, who was born on 15th April 1783 and died on 15th September 1821. 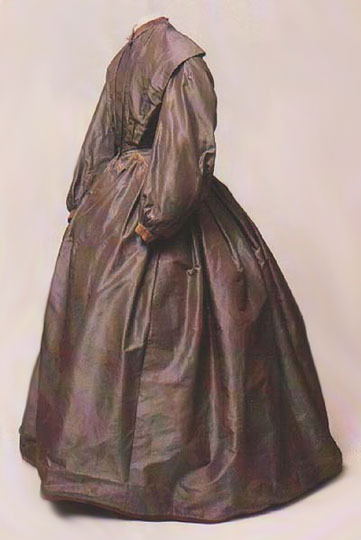 Maria had a sister, Elizabeth who was known as Aunt Branwell. She was born in 1776 and died on 29th October 1842. 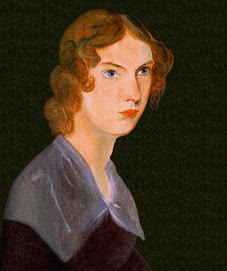 Patrick Bronte married Maria Branwell on 29th December 1812. Patrick and Maria Bronte had six children. The first child was Maria, who was born in 1814 and died on 6th June 1825. The second daughter, Elizabeth was born on 8th February 1815 and died shortly after Maria on 15th June 1825. Charlotte was the third daughter, born on 21st April 1816. Charlotte married Arthur Bell Nicholls (born 1818) on 29th June 1854. 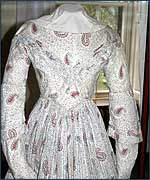 Charlotte died on 31st March 1855. Arthur lived until 2nd December 1906. 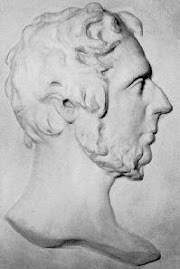 The first and only son born to Patrick and Maria was Patrick Branwell, who was born on 26th June 1817 and died on 24th September 1848. Emily Jane, the fourth daughter was born on 30th July 1818 and died on 19th December 1848. The sixth and last child was Anne, born on 17th January 1820 who died on 28th May 1849. Top Withens in the snow. 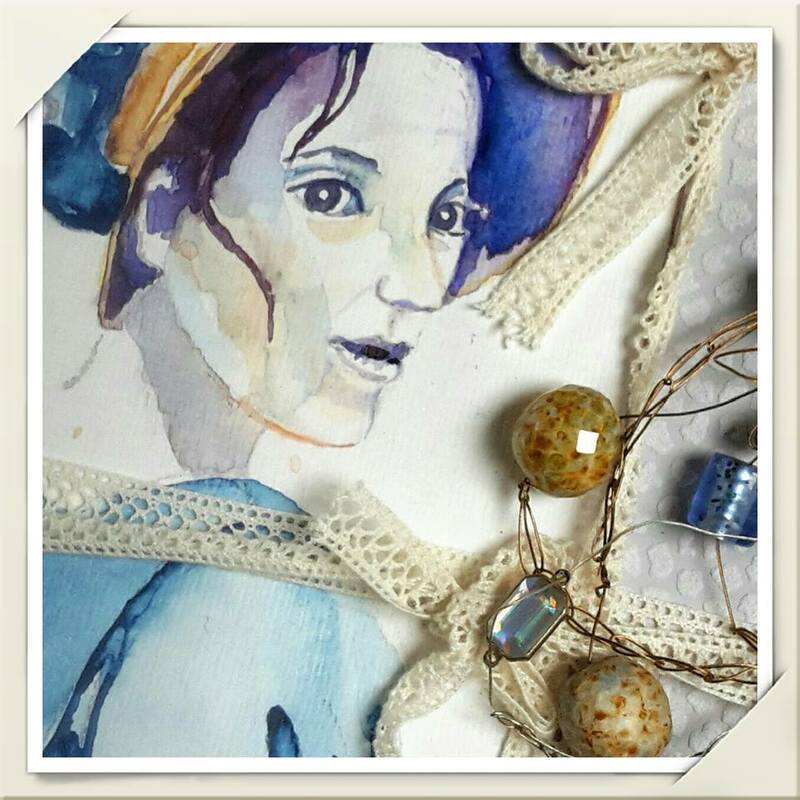 The bicentenary of the birth of Charlotte Bronte 21 April 2016 from The Brontë Society on Vimeo. What did the Bronte Sisters look like? If you have information about the Bronte Sisters, please let me know. Maybe you know an article in a newspaper, a book or a website or something else. I am also interested in Haworth. If you have a weblog, or you know one, with information and/or pictures about Yorkshire, Haworth, the Haworth parsonage, the Brontes, and so on, please, will you let me know? 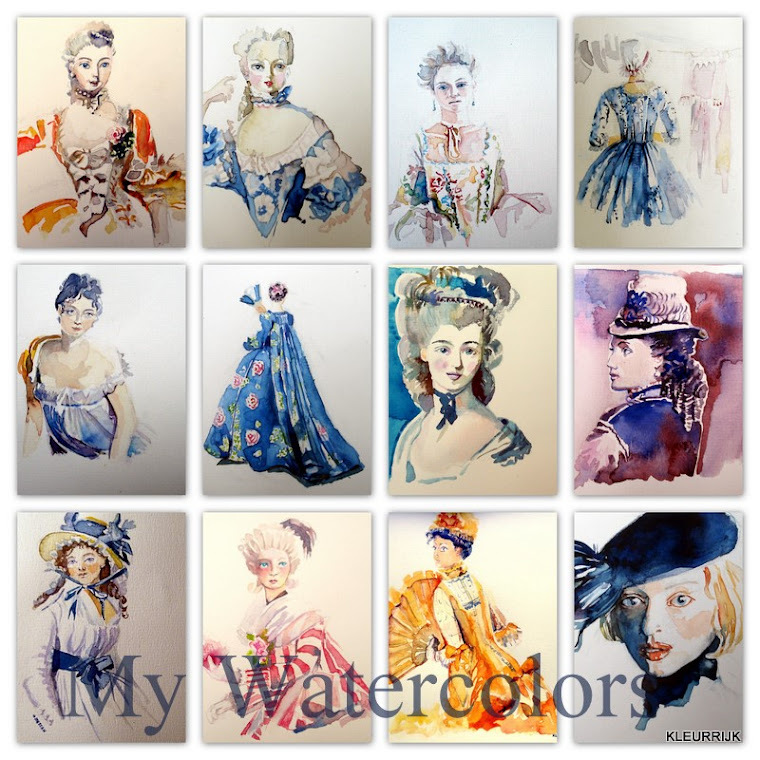 Volg het bord Bronte Sisters van Kleurrijk aquarellen/Geri Meftah op Pinterest. "My sister Emily loved the moors. Flowers brighter than the rose bloomed in the blackest of the heath for her; - out of a sullen hollow in a livid hill-side, her mind could make an Eden. She found in the bleak solitude many and dear delights; and not the least and best-loved was - liberty. — So longed for—as the hearth of home? Lines - krátký film "about Brontës"
Jams, Chutneys and Brownies-Christmas Fair Prep! Antique Prints of Belgium: Bruges, Brussels, Liege, Mechlin, Ostende and other cities and towns. The Project Gutenberg eBook of The Key to the Bront� Works, by John Malham-Dembleby. 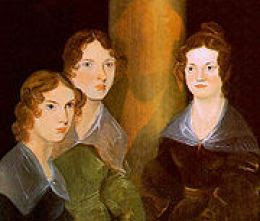 Full text of "The Brontë family, with special reference to Patrick Branwell Brontë"
Full text of "Patrick Branwell Brontë"
Full text of "Emily Brontë"
Full text of "Charlotte Brontë and her sisters"
Full text of "In the footsteps of the Brontës"
Full text of "Charlotte Brontë at home"
Archive of the Bronte Parsonage. Information about Mary Taylor, friend of Charlotte Bronte. Victorian Era 1837-1901 Victorian Fashion History, Costume Social History. Als jong meisje las ik Jane Eyre. Ik vond het prachtig. Vanaf dat moment wilde ik alles weten over the Bronte Sisters, over hun vader Patrick, hun broer Branwell, Tabby de huishoudster, Keeper en Flossy, twee van de vele huisdieren die zij hadden. Er is veel bekend over hun levens. O.a. doordat Charlotte Bronte veel brieven heeft geschreven. En doordat er vlak na haar dood een biografie werd geschreven door Elisabeth Gaskell, een vriendin van Charlotte. Zij leefden in Haworth in Groot Britannie. 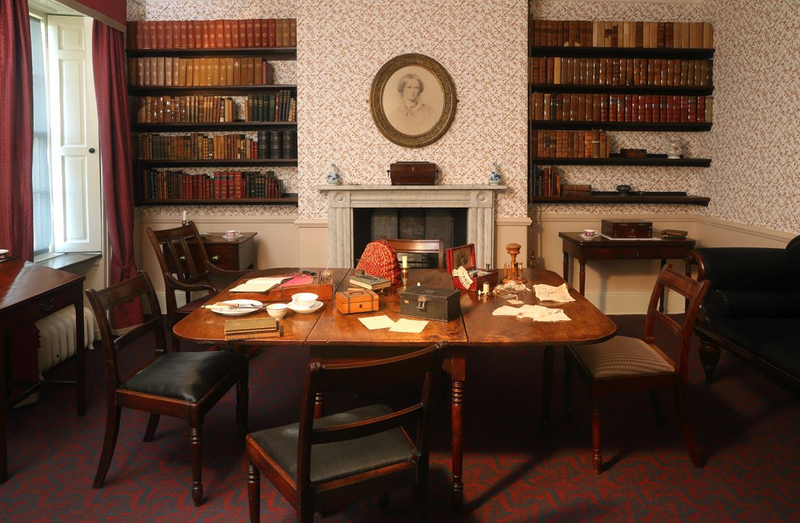 Hun huis The Parsonage is nu het Bronte Museum. Als kinderen schreven de Brontes verhalen in kleine boekjes, die je nog in het museum kunt bekijken. Branwell en Charlotte creerden "Angria" en Emily en Anne "Gondal" Zij schreven prachtige gedichten. No coward soul is mine No trembler in the world's storm-troubles sphere: I see Heavens Glory shine, And faith shines equal, arming me from fear. Op Internet en in boeken en films is zoveel informatie dat het me duizelt, maar nu biedt Blogger me de kans om via dit weblog orde te scheppen. Aunt Branwell wore pattens. What are pattens? Searching for the history of Mary Taylor, the friend of Charlotte Bronte, in Nw-Zealand. In Jane Eyre, what do the colors symbolize? The Red Room. De new Jane Eyre film will be released in march. 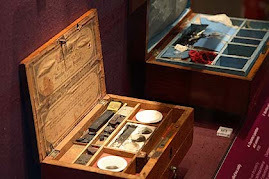 What happened after the death of Charlotte Bronte? 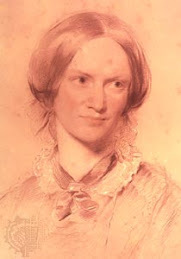 Charlotte Brontë's Teenage "Catalogue of Books"
Why do I keep this weblog? As a young girl I read Jane Eyre. I loved it. 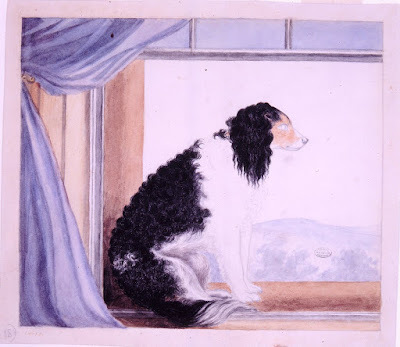 From that moment I wanted to know everything about the Bronte Sisters, their father Patrick, their brother Branwell, Tabby the housekeeper, Keeper and Flossy, two of the many pets they had. Much is known about their lives. 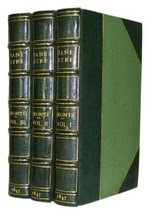 Charlotte Bronte wrote many letters. And since just after her death was a biography written by Elizabeth Gaskell, a friend of Charlotte. They lived in Haworth in Great Britain. 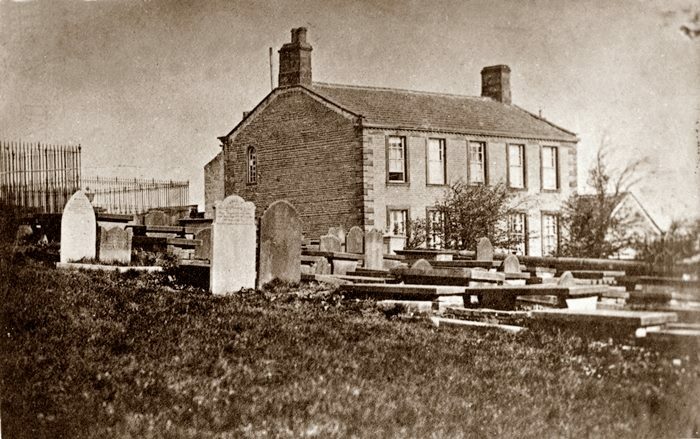 Their house is now the Bronte Parsonage Museum. When they were children they wrote stories in tiny books, which you can view in the museum. Branwell and Charlotte created "Angria" and Anne and Emily "Gondal". Emily wrote beautiful poetry. No coward soul is mine No trembler in the world's troubles storm-sphere: I see Heavens Glory shine, And faith shines equal, arming me from fear. On the internet, in books and movies is so much information that I was overwhelmed, but now Blogger, offers me the opportunity on this blog to create order. Welcome to Bronte Country, an area which straddles the West Yorkshire and East Lancashire Pennines in the North of England. A windswept land of heather and wild moors, it is hardly surprising that this region became the inspiration for the classic works of the Bronte sisters, Charlotte, Emily and Anne. 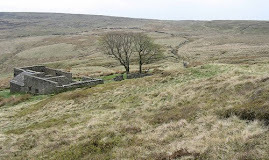 Top Withens and many of the other Bronte associated locations lie within easy reach of the village of Haworth, where the Bronte family lived at the Haworth parsonage (now the world famous Bronte Parsonage Museum), and where they wrote most of their famous works (including "Wuthering Heights" and "Jane Eyre", etc). Other Bronte related attractions in the heart of Bronte Country include the Bronte Birthplace in Thornton on the outskirts of Bradford (where Charlotte, Patrick Branwell, Emily and Anne were born while their father was parson at Thornton church), Ponden Hall near Haworth ("Thrushcross Grange" in "Wuthering Heights") and Oakwell Hall and Red House in Kirklees ("Fieldhead" and "Briarmains" respectively in Charlotte Bronte's "Shirley"). Slightly further afield in what is known as the Pendle Witch Country of East Lancashire there is Wycoller (believed to be the location for Ferndean Manor in "Jane Eyre"), and Gawthorpe Hall near Burnley, where Charlotte Bronte was a regular visitor. Outside of Bronte Country but on edge of the Yorkshire Dales some forty or so miles to the north is the village of Cowan Bridge (near Ingleton in the Yorkshire Dales) where the local school provided the inspiration for Lowood School in "Jane Eyre", while the country house at Norton Conyers (near Ripon in the Vale of York / Vale of Mowbray) is believed to be the setting for Thornfield Hall in the same novel. [N.B. Also in the Yorkshire Dales but closer nearby is the popular beauty spot of Bolton Abbey - which was visited by the Bronte family as a special excursion in 1833.] Further afield again Anne Bronte's grave can be found at St. Mary's Church in Scarborough - a popular resort on the Yorkshire Coast and near to the North York Moors to the east. Back in Bronte Country itself, attractions in the area which are not directly associated with the Brontes (but which are well worth a visit in their own right) include the industrial village of Saltaire in Bradford (built by Sir Titus Salt in the mid nineteenth century, and now a UNESCO designated World Heritage Centre), the National Media Museum in Bradford, the Keighley Bus Museum in Keighley, and the Keighley and Worth Valley Railway (which runs from the village of Oxenhope through Haworth and Oakworth to the town of Keighley in the Aire Valley). The Bronte Country area has other literary and cultural associations: For instance the poet Ted Hughes was born in Mytholmroyd near Hebden Bridge (his wife Sylvia Plath being buried in nearby Heptonstall), while the playwright J.B. Priestley, the composer Delius, the novelist John Braine and the artist David Hockney (like the Bronte sisters themselves) were all born within the district of the city of Bradford. 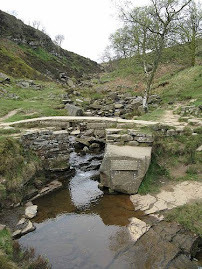 The Pennine Way long distance footpath passes through Bronte Country, as does the Bronte Way, the Bradford Millennium Footpath and the Great Northern Railway Trail.